One of Bethesda’s least expected surprises at its E3 showcase was the Skyrim: Very Special Edition. 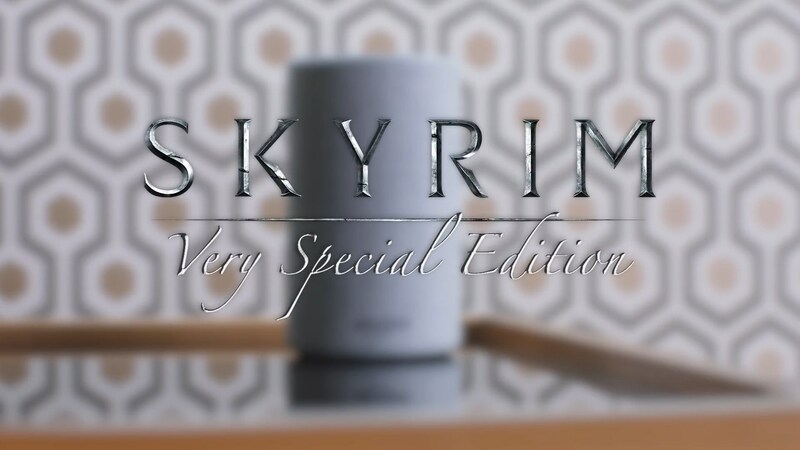 Skyrim: Very Special Edition was presented as a joke with the help of a pre-recorded video starring Keegan Michael-Key. We all assumed Bethesda is simply acknowledging all the jokes fans and pundits make about how the company always finds a new platform to bring Skyrim to. Until of course, we later found out that it’s actually a real game you can play with Amazon Alexa. “We know we get a lot of flak [like] ‘What else are you gonna put Skyrim on,’ so we’re like, ‘Well, we’re just gonna own it and have fun with that and make fun of ourselves and make fun of everybody else,'” Bethesda senior vice president Pete Hines told Gamespot at E3. According to Hines, the whole thing did start out as a joke by Todd Howard, before Bethesda decided to take it further. Like we mentioned in the story from earlier this week, you can play Skyrim: Very Special Edition on your Android, or iOS phone. You only need the Amazon Alexa app on Android or the Amazon store app on iOS. You can also, obviously, play it using an Amazon Echo device.